PDA is a full service investigative agency that provides professional, ethical, and competitive investigative and security services. PDA excels at providing in-depth expertise in many areas including, security, corporate investigations, private investigations and corporate consulting. 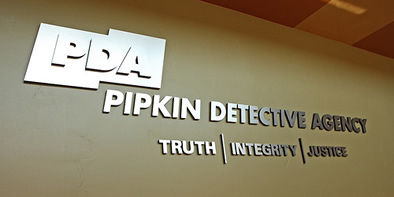 Our expertise combined with diverse experience with corporate investigation services allows us to surpass industry standards in areas such as wireless video surveillance, aerial surveillance, countermeasures/debugging, worker’s compensation fraud investigations, background investigations, state of the art video tape enhancement, hostile termination walk-off service and more. Corporate undercover operations necessitate the use of an experienced team of undercover agents and supervisors. These individuals need to be familiar with Local, State and Federal Law. The applied individuals need to be able to exist in the specific environment and be able to interact with the employees to gain only relevant intelligence. Call our offices today for a confidential consultation to assess the issues and solutions. Contact us today! In today’s ever changing workplace, PDA is there to assist business owners, corporations and government agencies when hostilities are anticipated. Agents will assist in the termination process or completely handle the entire termination. We also provide protective surveillance to prevent any repercussions by the terminated employee. When an act of this nature occurs you can count on the resources of PDA’s manpower and tracking skills to get the job done. This is coupled with our exclusive PDA Hound Dog® data base tracking system. We can find anyone, anywhere, anytime. When we are assigned to this task, we have the manpower resources to immediately assign up to (25) agents to locate the missing child/children. PDA field agents are supported by over 20 individuals involved in supporting field agent activities. With most law enforcement agencies overwhelmed with criminal activity and security issues, PDA is there once again to assist private parties and businesses. Should the need arise; PDA’s agents can assist in the enforcement of court orders prohibiting the transfer or removal of protected assets or collateral. What ever the court orders, PDA’s agents will enforce! In the event of possible physical altercations, PDA’s knowledgeable agents can take control of the situation by “keeping the peace”. Any violators will be arrested and booked into custody with law enforcement. Post 911 has heightened concern for potential “wanna be” or “copy cat” acts of terrorism. Some of these individuals may deliver vain threats while others may carry out criminal acts of violence. Either way, PDA agents have received additional training and are capable of handling these situations. We have participated with FBI agents on the first identified “Bio Terrorism” case in the U.S.A. Whether it is a former or disgruntled employee, PDA agents have investigated numerous instances where employees have been recruited to “obtain” proprietary information, either for monetary gain or as an act of retribution against the company. Often times these matters can be quickly resolved and the responsible parties prosecuted. We have also investigated highly and sophisticated off shore counterfeiting and theft cases. Gathering evidence to support a case is key to our success. Crush Analysis is a resource we use to leverage our ability to maintain high quality accident reconstruction data. Serving papers on another person is an official handing over of documents. Papers must be “served” on any other person who is involved in the law suit or who the law requires get the papers. These working partners consist of highly trained contraband detection canines possessing the ability to detect not only the illegal narcotic odors, (Marijuana, Cocaine, Methamphetamines, LSD, Ecstasy, and Heroin) but GUNPOWDER based items, (Firearms, Ammunition, Pipe bombs and, Fireworks) and ALCOHOLIC BEVERAGES, (Beer, Wine, Wine Coolers, and all Distilled Spirits) No canine will ever visit your location without the skills listed above. Our purpose is simple: to determine and deter the presence of contraband. Live Scan technology allows digitally scanned fingerprints to be submitted electronically to the Department of Justice within a matter of minutes and allows criminal background checks to be processed usually within 72 hours. Starting June 1, 2006,PDA will offer Live Scan at our Visalia and Fresno offices. Our Visalia office offers walk-ins from 10:00 AM – 12:00 PM and 1:00 PM – 3:00 PM Monday through Friday and by appointments on weekends and we also offer mobile services for 5 or more scans at your location at no extra charge. Our Fresno office is by appointment only. Same day appointments are available.